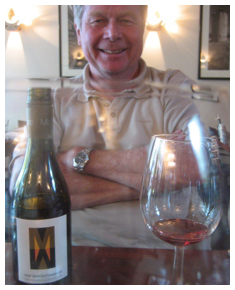 A few days ago I celebrated Martin Malivoire Day – my annual get together/tasting with the owner of one of Niagara’s top wineries (and organic too) at Gamelle restaurant. As you might know, my reviews are based on independent tastings done either at my office or at trade events but I also welcome the opportunity to re-taste with a winemaker. It gives me a window on the personality, philosophy, and direction of the winery. What’s in the bottle is all about what’s in the head and heart of the owner. 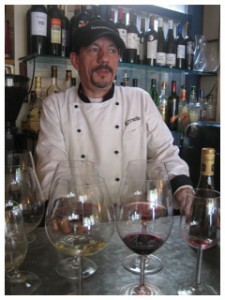 Martin loves food, loves to travel, and for me, he’s bringing the French wine experience to Niagara. At least a version of it – which is how it should be. He’s committed to organics, to operating with style and to inviting customers to pay premium. The French way! The clincher is that Malivoire makes good wine and there’s value in every bottle. You decide where his wines might fit into your life and budget. Some are at the LCBO but most are available only at the winery. I highly recommend the Pinot Gris, Ladybug Rosé and Gamay. The arty new labels are a welcome change from local Dullsville. Melon 08 ($9.95/375ml) is lean, tart and super-refreshing. Oyster wine. Ontario’s Muscadet! The half bottle size is perfect for aperitifs. 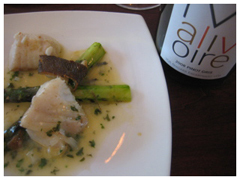 Pinot Gris 08 ($18.95 Vintages) hits the mid-range between refreshment and something special. “Wine for drinking” says Martin. I suggest you get some and start doing it. 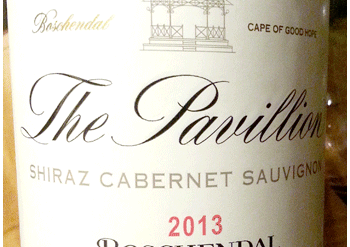 You’ll have the best house wine on the the block. Chardonnay 06 Estate ($19.95 LCBO Essentials) is pretty, but a showstopper is the Chardonnay 06 ‘Moira Vineyard’ ($36) which is big, luscious and out to seduce. Gewurztraminer 08 ($24.95) is lively, lovely and exotic without being too cute. Something to sip in the shade. Another delightful experience can be had with half bottles of Chardonnay Musque ($11.95 Available at Vintages in 375ml for the June 20 release) which delivers lovely Muscat flavours and zest at a low alcohol level. Perfect for summer brunch – or whenever. 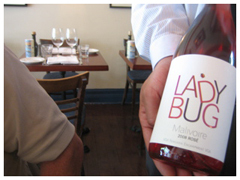 Ladybug 08 Rosé ($15.95 available now at Vintages) is the perfect combo of zest and fruitiness. Wine that says ‘Let’s have some FUN’. The Pinot Noir 06 ($25 Available at Vintages in August) is light, tart and challenging. 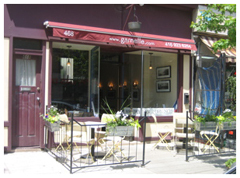 Very Burgundian – wine to partner with confit. My favourite red is the Gamay 07 ($17.95) which is totally unique. Lots of fruit, lots of vigour and an earthy quality that I associate with Italian reds such as Barbera. Rustic wine for hearty pastas, or BBQ’d white meats.